Home of the one and only Fandrich Vertical Action that plays like a grand. "This piano is lovely to play! You can get anything you want! You can ask it to do anything." Un-paralleled tone & action response. Exceptional durability in "heavy-use" situations. Recognized by the Smithsonian Institute. 10 patents - US and foreign. Built by Renner® in Germany. True grand action response, not just an enhanced upright action. "My Fandrich & Sons 132V is beautiful with a beyond belief gorgeous sound. It sings in a way I've never experienced!" 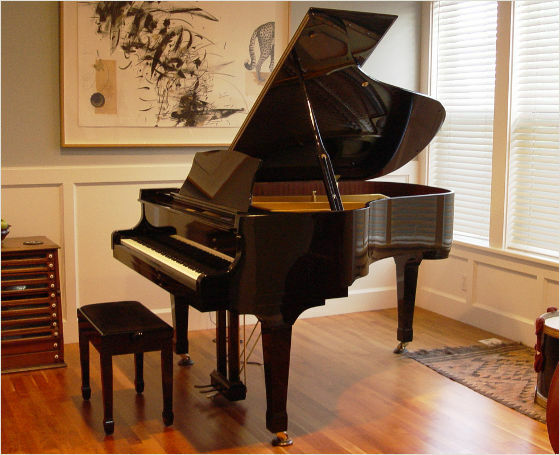 "This Feurich 123V upright is other-worldly. This is the most buttery upright I ever played!" "2007-8 was my sabbatical year in France, and it was mostly about finally having time to work on listening for beautiful sound, long singing lines, and having the time to make music every day. Naturally, I bought a F/S grand and shipped it to my house in SW France. I could never have enjoyed my time or learned so much without my Fandrich. It never lies to you." Copyright 1997-2019 Fandrich & Sons. All rights reserved.